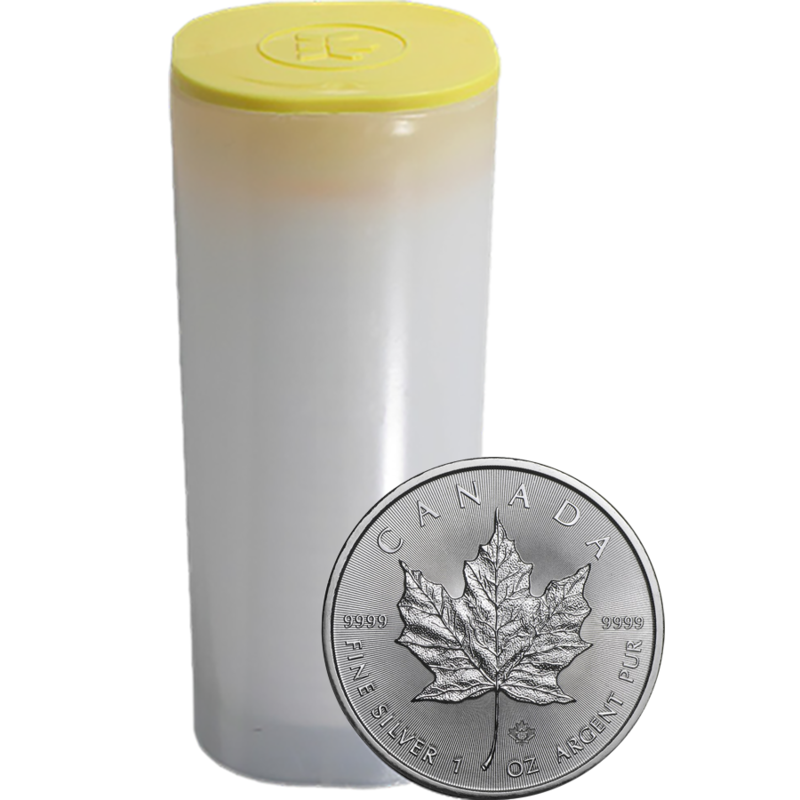 This 2019 Canadian Maple 1oz Silver Coin Bundle contains 25 silver coins in an original mint tube. 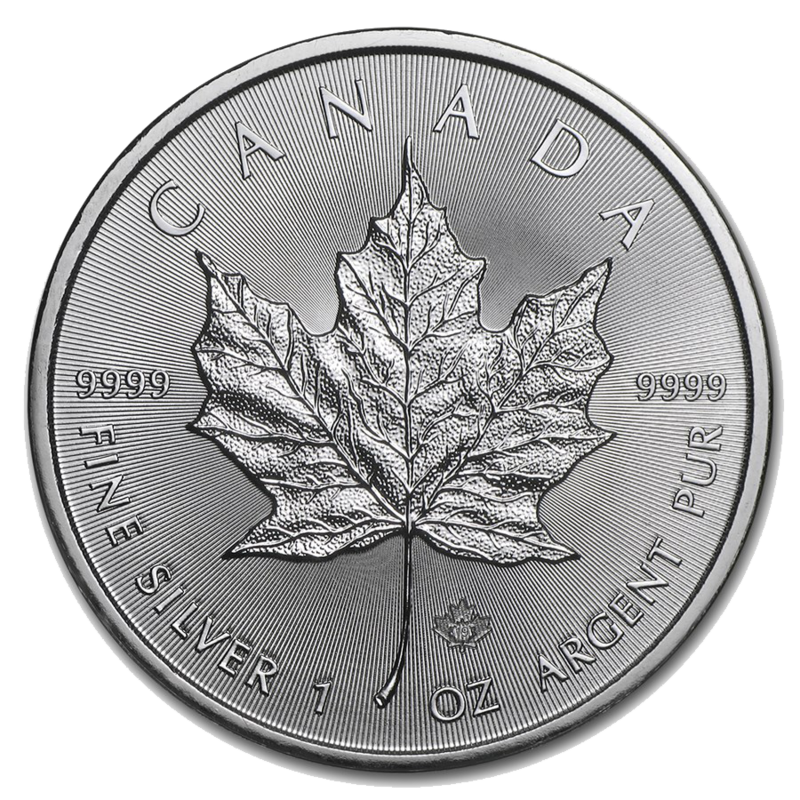 Manufactured by The Royal Canadian Mint. 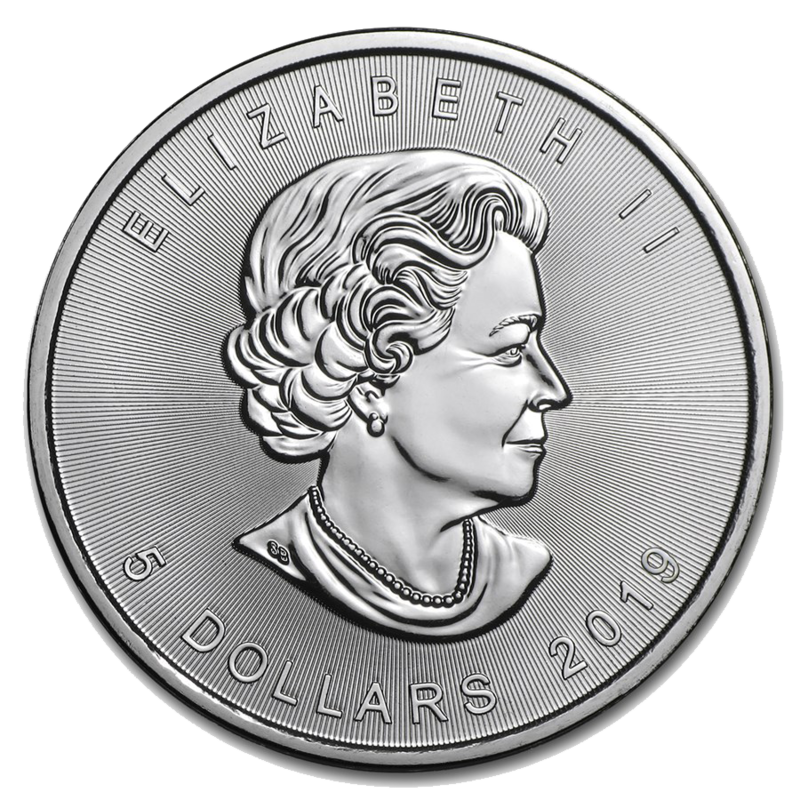 As from 2014 the background of the Maple coin had radial lines, precisely machined by the Royal Canadian Mint onto their master die. This creates a unique light diffracting pattern which has not been seen on other bullion coins and adds another measure of security. This collection offers you a cheaper way to buy 25 Canadian Maple coins. If you are looking to buy greater quantities you may find the Mix & Match section offers you the best price for these coins.